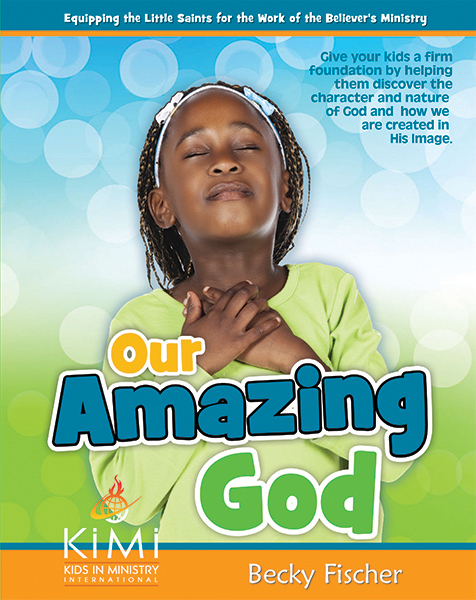 Children today, whether in church our outside, know little about Our Amazing God. Research says this is the first generation in American history that was not raised on Judeo-Christian philosophy. They are said to be the most biblically illiterate generation ever in our nation. Pluralism (mixing a variety religious beliefs and regarding all of them as equally valid and true) has invaded our society in every way, and we can no longer assume when we discuss “God” in a group setting that we’re all talking about the same one. Add this fact to another–that this generation has the lowest level of basic biblical knowledge ever in this nation. Who is Our Amazing God? “Our Amazing God” is an exhaustive study asking “Who is God?” It is a foundational study of the three persons of the Godhead (the Trinity). We spend a great deal of time explaining the role of each one, and how they are unique in their operation, but truly three in one. In addition, this series teaches five more fundamental doctrines of the Christian faith. These include salvation, the baptism in the Holy Spirit, Communion (the Lord’s Supper), and water baptism. They conclude with an in-depth look at how we are created in God’s image–spirit, soul, and body. We spend one entire chapter explaining what speaking in tongues is, and what it is used for. 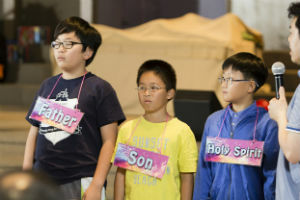 Children generally know a lot about Jesus, the son of God. They know a little bit about God, the Father. But most children know almost nothing about the Holy Spirit. In fact, Barna Research found in surveys over half of them do not believe the Holy Spirit is real. Unless children are taught in Sunday School or children’s church Bible lessons, there are few other places they can learn about the three persons of the Trinity. For this reason, we spend a minimum of ten lessons out of seventeen to careful explain who each of the person of the Trinity is, what their role is in the Godhead, and what each of them do in relation to us personally. We end with four lessons on how we are created in the image of God–spirit, soul, and body. It is a logical transition after studying the Trinity, the three in one God. We are also created three in one. For the first time many children understand how at Creation God created us in His image. We carefully explain, that no other creature or creation was made in God’s image. We are wonderfully, and uniquely made. This is an extremely important concept in their world where all around them they are being educated to belief there is nothing special about mankind, in fact, we are just another kind of animal. This shatters that lie. 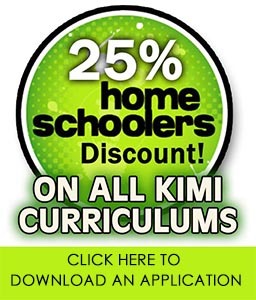 You Will Use This Curriculum Over and Over Again! This is a series of children’s church Bible lessons you should seriously consider teaching every two or three years, especially considering the high turn over of families in a local church. But also because what a child hears, absorbs, and understands at the age of 6 or 7, is completely different than what they will understand and implement at ages ten or eleven. If you repeat the lessons every two year, the children will only hear these doctrines about two or three times before their teen years. And that is assuming they never miss a Sunday service. Click here to see free sample lesson. Also included: Hands-On Training Manual with insightful teaching on leading a child to Christ, understanding a child’s conversion experience, what you should know about water baptism and children, and leading a child into the baptism in the Holy Spirit simply and easily. I am trying to see a sample but all the links are not working. Is there someone to help me? Jessica, sorry for your frustration. I’m setting up a new computer and unknowingly did something wrong, and all our links were broken. I have just fixed these sample lessons. So you can try again. We have used these curriculums at Zadok in Fort Worth, TX and absolutely loved the messages! They are bathed in prayer and well thought and planned out. I love how it even tells us what we will need to gather in order to effectively & efficiently prepare for the lesson. I loved doing sword drills with the kids. The lessons are on a level that the kids can understand and grasp. They can answer questions at the end and were eager to answer them! We saw many amazing things! Kids praying in the Holy Spirit and laying hands on one another praying for one another. My husband and I no longer live in Texas. However, we started going to a growing church and have been asked to head up the children’s ministry. I have strongly suggested these curriculums and the Pastor approved! We are excited to see what God is about to do in the lives of these children!! We know GREAT THINGS are about to take place here just as God is moving among the children in Texas!! Cherise S. wrote on Amazon.com: Yes! Yes! Yes! Finding this curriculum is an answer to prayer! 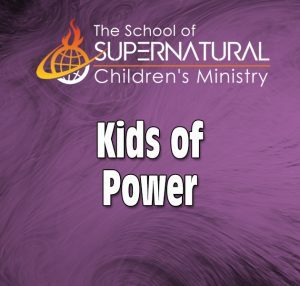 We have five of our own children and have been teaching them to live a supernatural life at home but figuring out how to take it into our Children’s Ministry has been tricky! Lol Not anymore! We are starting our first lesson tonight and can’t wait to see the kid’s soaking this up. 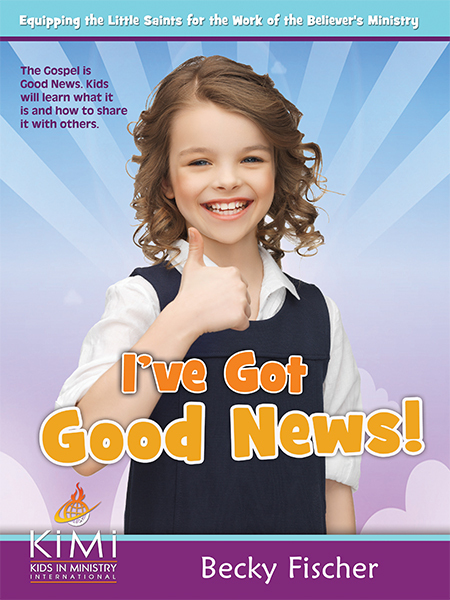 I received an email from Cheri Griggs: I’ve used your Amazing God messages before with children and I LOVED IT! I witnessed incredible things in the lives of the children. When I became a lead pastor, I used the same material with the adults…object lessons and all…Becky, many of the adults who have been in the church for decades said they could finally begin to grasp who God is as well as how we fit into His plan. 8. 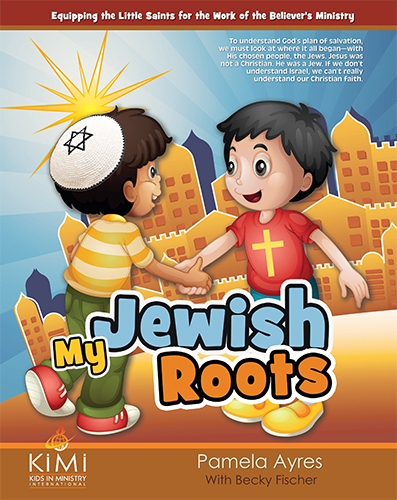 My Jewish Roots for Kids 20% OFF! 5. I’ve Got Good News!